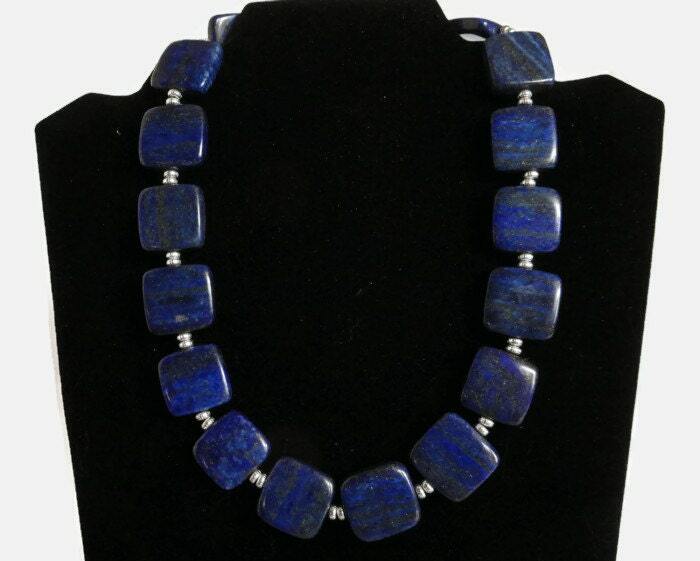 This necklace has a classic style with large lapis lazuli puffed square stones with corrugated bead highlights. 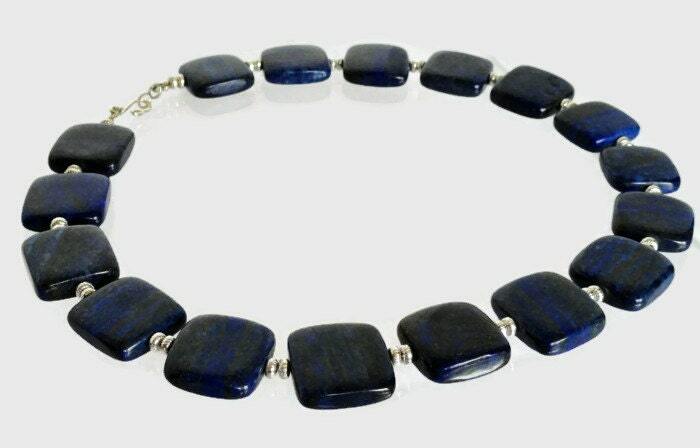 Lapis lazuli are shot through with small gold flecks and can be dressed up for a statement or down with denim. 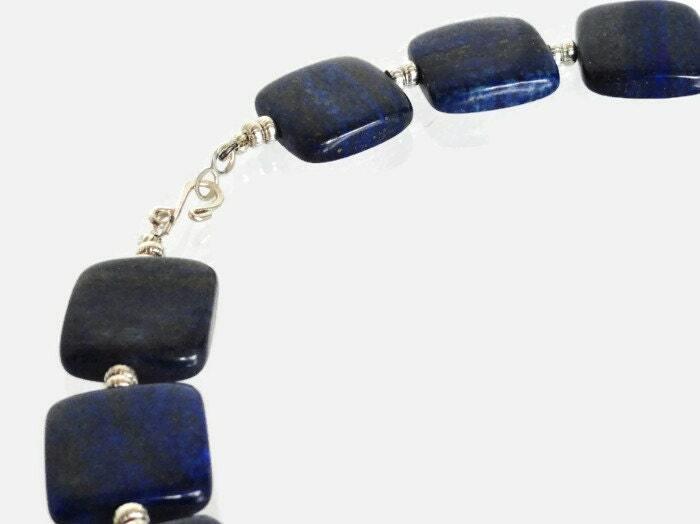 A simple S-clasp with a beaded extension allows for easy fastening with an option for a longer length. Select silver or gold.